Influence of Sensory Loss on Development– this article explains the effects of sensory loss in relation to communication, explains the communication “bubble,” how communication affects development in terms of the ability to accurately assess children with dual sensory loss and underscores the importance of developing a formal communication system at home and school. Factors related to the development of communication in CHARGE syndrome – Dr. James Thelin and Jill Fussner’s paper on the factors that are related to the development of symbolic language in CHARGE syndrome. They discuss the three major factors, as well as others that are related to the development of symbolic language in CHARGE. ASHA CHARGE Syndrome Web Program – Developed for audiologists and speech-language pathologists (SLPs), this video series focuses on audiologic issues, issues for SLPs, research on communication in CHARGE as well as resources for professionals, parents, and individuals with CHARGE. Please note: this flash-based web player is best viewed on a desktop computer. 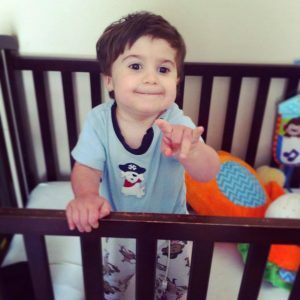 Speech and Language Therapy in CHARGE Syndrome – In this section of the CHARGE Syndrome Foundation Professional Packet, Lisa Anne Guerra, MS, CCC-SLP discusses some of the factors specific to SLPs working with individuals with CHARGE syndrome, including assessment strategies, the use of total communication, and established routines. 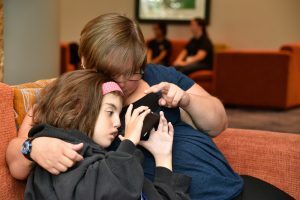 Many ways to have a conversation – This article written by Martha M. Majors, Assistant Education Direct or, Deafblind Program, Perkins School for the Blind, is based on a presentation at the 10th International CHARGE Syndrome Conference in 2011. She discusses the unique ways in which students with CHARGE have meaningful conversations and the common strategies and modes each child can access. CHARGE Syndrome: The impact of CHARGE on Communication and Learning – In this webcast, Martha Majors discusses communication and learning for individuals with CHARGE in the educational environment. iCanConnect advertises and promotes the National Deaf-Blind Equipment Distribution Program, and provides technical support and service information to people experiencing combined hearing and vision loss who may be eligible for the program’s services. It is a national technical assistance center funded by the federal Department of Education. Programs include intervener services, early detection, technology solutions, literacy, and transition services. Offers a comprehensive training program for students 30 to 22 years of age. Day program and residential program as well focusing on language, O&M, adaptive physical education, computer technology, assistive technology, vocational training, and transition services.